إذا كنت تبحث عن فندق بموقع جيد في صن شاين كوست، فقد وجدت ضالتك في Beachside Mooloolaba . يمكن من هنا للضيوف الاستمتاع بسهولة الوصول إلى كل ما تقدمه هذه المدينة النابضة بالحياة. يوفر الفندق بفضل موقعة الجيد وصولاً سهلاً إلى أهم معالم المدينة.
. إن الخدمات الممتازة وحسن الضيافة العالي في Beachside Mooloolaba تجعل إقامتك تجربة لا تنسى. يمكن للنزلاء الاستمتاع بالميزات التالية: تسجيل وصول/خروج سريع, تخزين الأمتعة, صف السيارات, مرافق للشواء, جولات أثناء إقامتهم في هذا المكان الرائع. استمتع بوسائل الراحة الراقية في الغرف أثناء إقامتك هنا. بعض الغرف تتضمن غرف لغير المدخنين, مكيف هواء, شرفة/ تراس, ساعة منبه, تليفون لمساعدتك على استعادة طاقتك بعد يوم طويل. صممت خدمات الاستجمام في الفندق والتي تتضمن حوض استحمام ساخن, حمام سباحة خارجي, سبا, حديقة لمساعدتك على الاسترخاء والراحة. إن Beachside Mooloolaba هو مكان مثالي للمسافرين الذين يتطلعون إلى الراحة والاستجمام في صن شاين كوست. I stayed here with my wife over NY fo a week. The apartment was clean and comfortable. Complex facilities also satisfactory with nice pool and spa - some more shade wouldn't hurt though (perhaps some umbrellas). 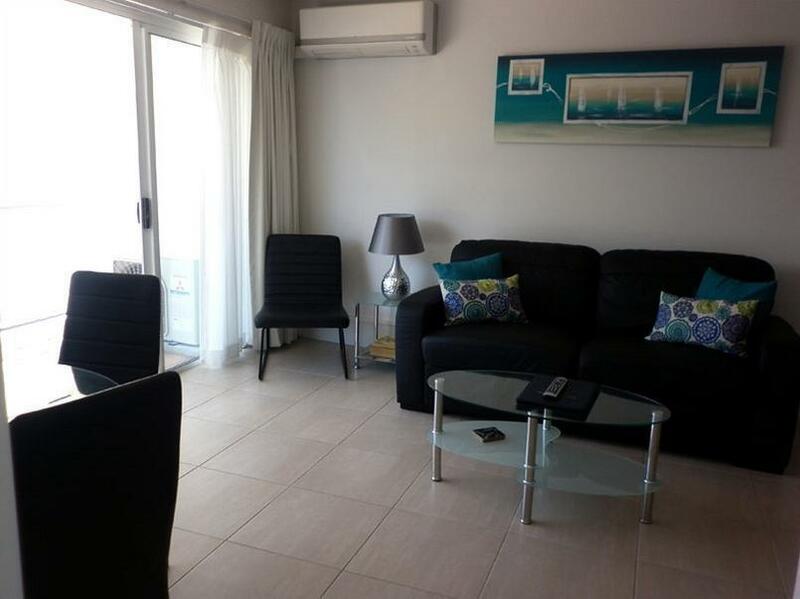 The location is excellent - 5min walk to beach + restaurants, 10min to Coles. Only thing to note is the apartments that face Brisbane Rd are a little loud given the traffic - but it was a busy time of year..
Had a lovely weekend here, the staff were so friendly. Great little apartment on the 3rd floor, all inclusions, everything we needed! Loved the balcony, loungeroom, tv in the bedroom, full sized fridge. Lovely warm spa downstairs and a pool. Very close to the esplanade, walking distance to the surf club and the Wharf. Friendly and helpful staff. Quiet and relaxing atmosphere. 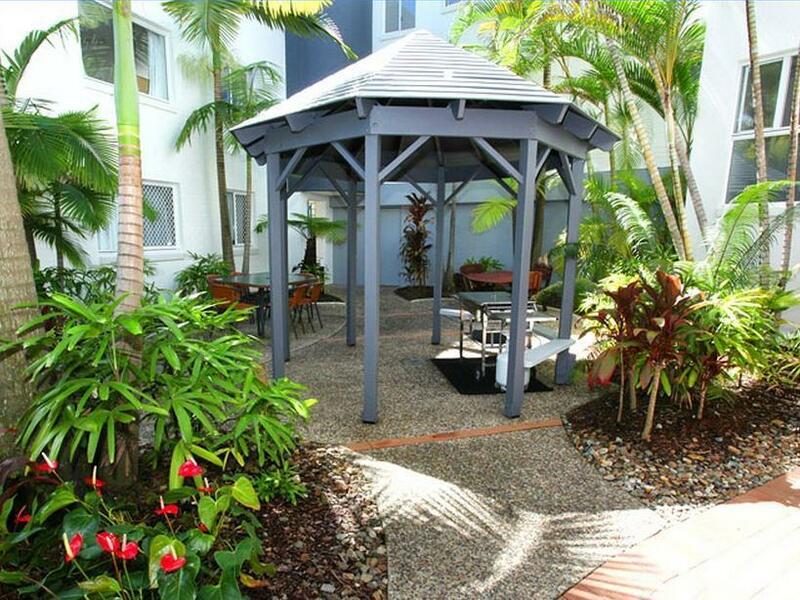 Lovely maintained gardens and pool as well as very clean apartment with comfortable bed and pillows (very important). Great location, very close to cafes, restaurants, the beach and marina. We will definitely be back. Excellent location and so able to easily access nearby restaurants, cafes, Surf Club and beach, but very little noise. 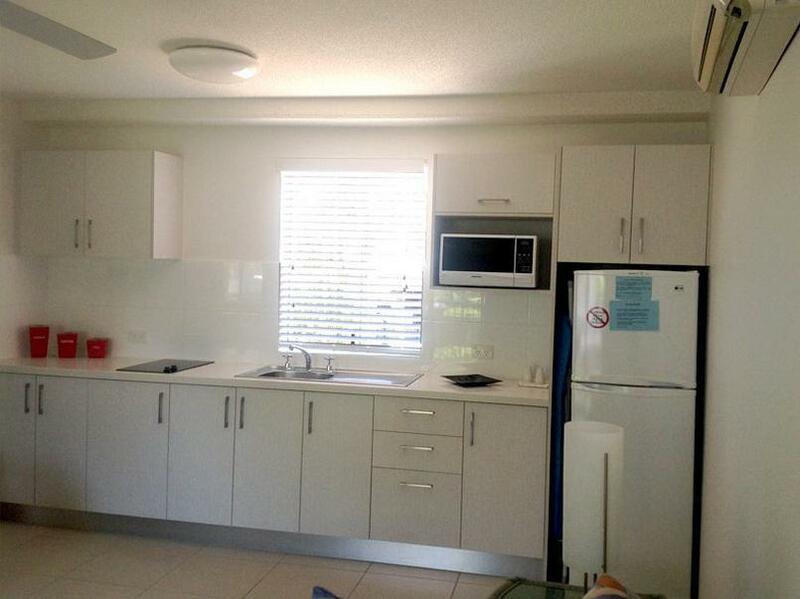 Unit clean and well appointed with better than expected cooking facilities and decent fridge. Undercover offstreet parking, nice pool and quite a reasonable tariff. Very clean, pleasant staff. Nice grounds. Beachside suggested to us by the beach...... On a busy road and out of sight of the sea. A little noisy from outside influences. Apartment well equipped but things falling of the walls ie towel rails, toilet roil holder. Car parking very tight for mid to large vehicles. Was a great location and good value for Money . Not too busy . Kitchen area a bit cramped and would be better with darker curtains to keep the light out in the morning. Unit a bit dated, didn't find staff very friendly. This was a short walk to everything that you would need while staying.Felt price was a bit high for the unit.There was no coffee, only tea in unit. We loved Mooloolaba and the apartment so much we stayed an extra night. Our balcony was in the shade, which was fine for me but if you want to sit in the sun make a special request. On arrival the staff were extremely helpful and even arranged tours for us, the accomodation was quiet and we were able to walk to the beach, shops and found a varied range of restaurants to chose from. The pool and spa area we used daily and although fully booked never got crowded. Look for the craft fair at the wharf on Sunday nights from 4pm to 8pm. Beachside Apartments ticked all the boxes. Location is brilliant, close to beach, shops and restaurants. One bedroom self contained apartment with a pool to cool off. We will definitly be back. Don't expect too much luxury or 5 star facilities but do expect a small but adequate pool, comfortable clean rooms and a convenient location. Situated a couple of blocks back from the beach front it's also very quiet. I wouldn't hesitate to stay there again. The apartment was very small but clean and neat. The kitchen was very basic with only two hotplates and no oven, so it made cooking very hard. Also there was only a portable tv, very, very small which was a huge disappointment. In this day and age with the prices of decent plasmas being so low I cannot understand why they haven't updated!